Oceanside Beach Bar and Grill is a Florida beach bar located in Flagler Beach. Discover this great Florida beach bar. 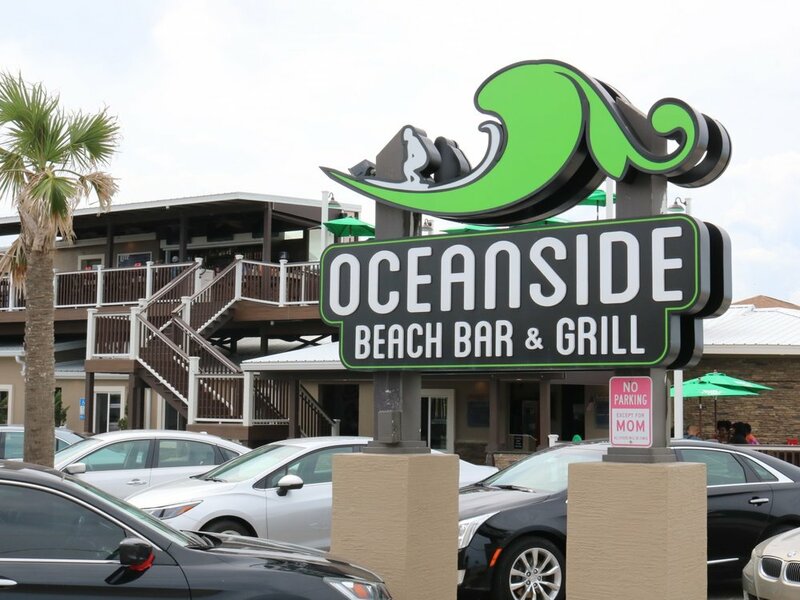 Oceanside Beach Bar and Grill is located in Flagler Beach and is located across the road from the ocean. It used to be a family owned pizza restaurant. After the restaurant was sold in 2006, the owner’s sons bought it back in 2010 and completely renovated it, making it better than ever! They have a lot of great food and drinks and still offer menu items that their father introduced at the original restaurant (Pizza, Gyro, Waffles, Flaming Fajitas) but also added a lot of new ones! Their patio areas look out into the ocean and is a perfect spot to have a drink and soak in the sun. They also offer catering and have event space so keep them in mind for your next party!